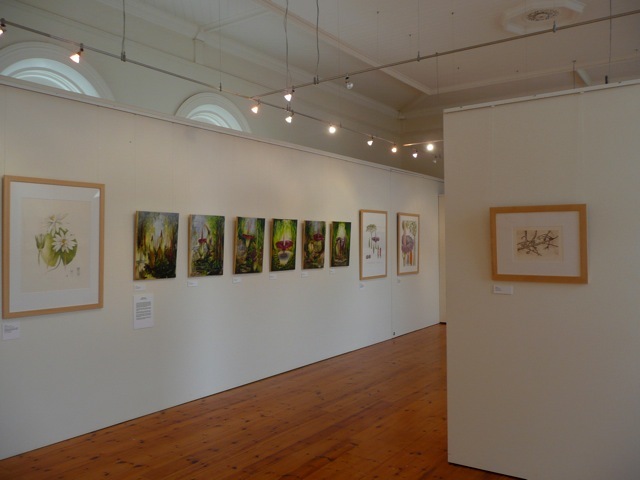 ffshoots is currently at the popular and appealing East Gippsland Art Gallery. I say popular because before the exhibition was even on the walls, a text message was relayed to me from a friend of a friend who happened to be there when my paintings were being hung! Also, EGAG has a very enthusiastic membership and associated arts community who made the most of the Public Programs opportunities. Museum and Gallery Services Queensland chose the delightful Riversleigh for my accommodation. 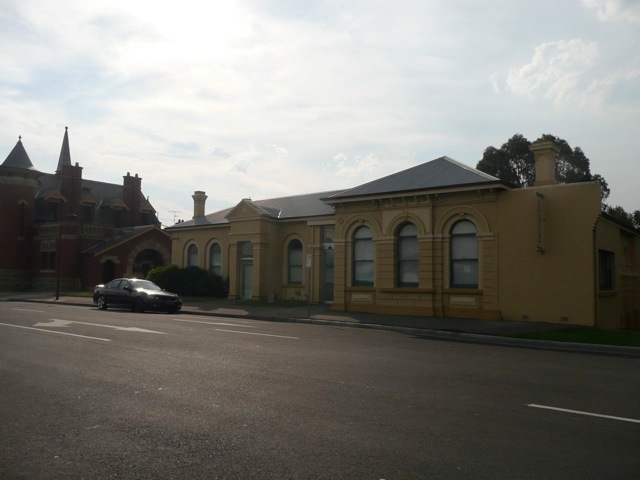 Very central, it sits opposite the Gallery alongside the Mitchell River and is a couple of minutes walk from the workshop venue. Riversleigh’s Friday evening tapas in the garden was the perfect end to a travel day; Bairnsdale is an enjoyable four-hour train ride through country Victoria. 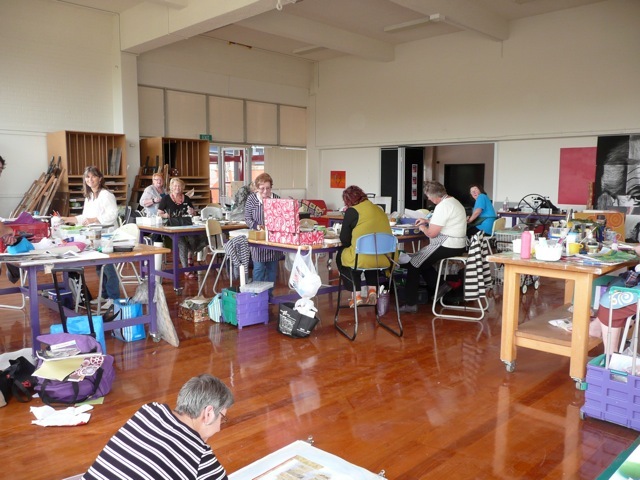 Saturday’s Mixed Media Workshop, held in the spectacular TAFE art room, was full with fifteen talented participants, all of whom brought something different to work with and enjoyed trying some new techniques. The day flew by in a sort of ordered chaos amid paints, glues, tissue paper, wool, found objects etc and ended with fifteen interesting works. I had offered a floor talk for Sunday morning so the EGAG volunteers hosted a special opening, complete with morning tea. This was also my opportunity to see the exhibition in situ and I found it hung exceptionally well, filling the small gallery nicely. With a captive audience for the floor talk, of around thirty five people, I proceeded to talk. And talk. And talk. What’s more interesting is that everyone listened, attentively – for one and a half hours! 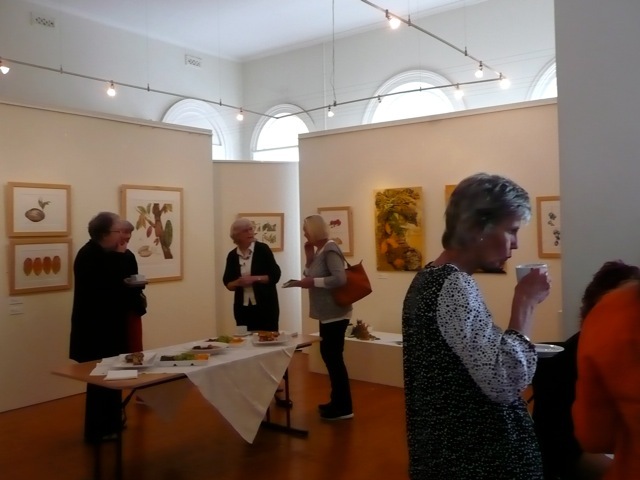 Thank you Bairnsdale for your enthusiastic interest in my work and in the partnership between myself, Cairns Botanic Gardens and Tanks Arts Centre. 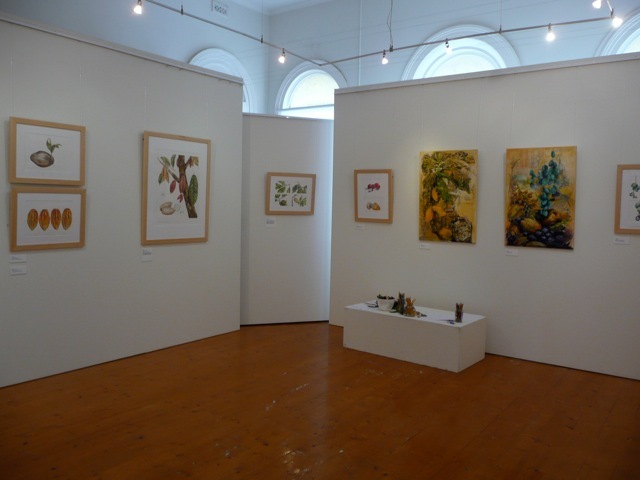 Partially funded through Local and State Government, East Gippsland Gallery relies on funds raised by Friends of EGAG and the Gallery Shop for it’s operational costs. 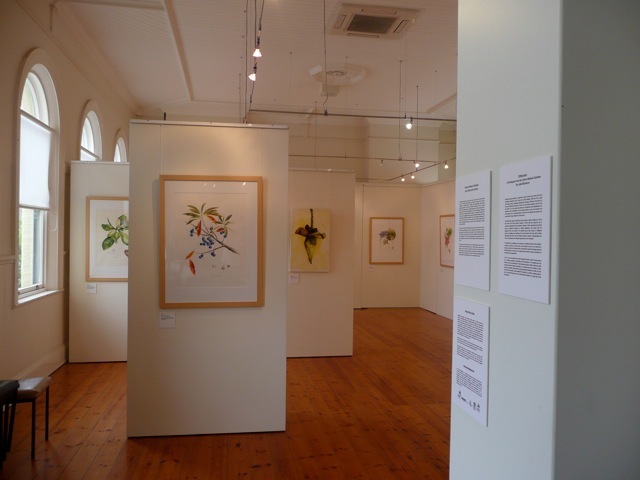 Offshoots at East Gippsland Art Gallery.